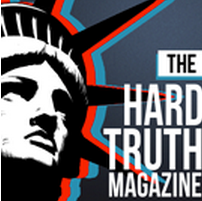 A man I’ve known and respected for a very long time, Bruce Wiseman, has launched a new online magazine, called The Hard Truth. As the title suggests it offers hard-hitting and insightful investigative journalism. It’s being offered on a subscription basis, which is a bold move for a brand new magazine. Is it worth the $4.99 fee every other month, or $24.99 for the year? You’ll have to read it to find out, and to read it, you’ll have to subscribe. Can you handle the truth?